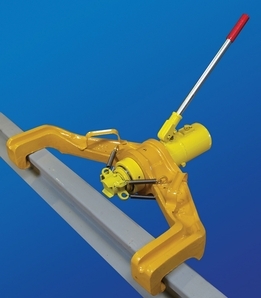 Standard model bender for curving mine rail and bending switchpoint "knucks" in rails 25-70 lbs. Quick ram retraction. Heavy-duty springs pull piston completely into cylinder in less than 5 seconds. No pry-bar needed to release ram from rail.